Hi Nate, spot on. 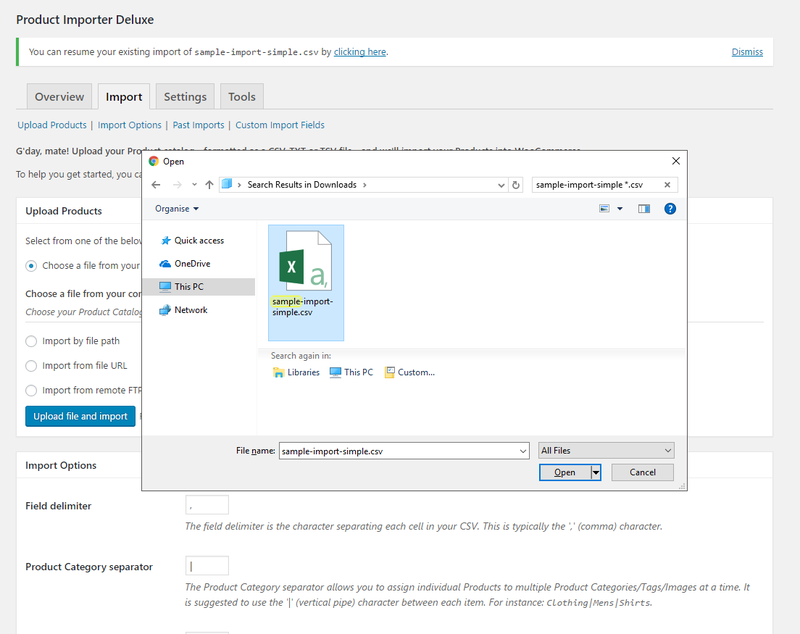 Link the SKU and Sale Price columns then hit the merge import option at import time. It will update the Sale Price for those Products found. 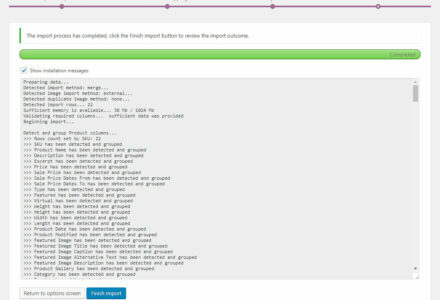 I do recommend backing up your store database before you do this as I’m pushing out a Plugin update shortly to fix overriding of default details (the scenario above where the importer has previously cleared existing Product details). A minute saved is a minute earnt, and this saved hours! Dose anybody know how to manage stock and add a quantity to a product? 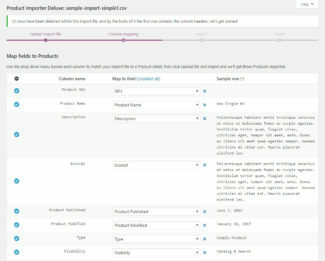 After I import my products they are set to zero quantity. 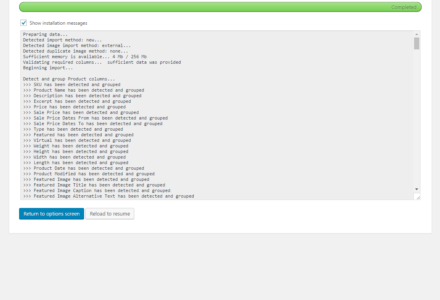 Using the Jigoshop bulk uploader I’m running into an interesting problem. 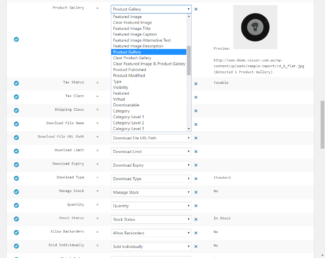 I had at one point uploaded around 2,000 products to the store but the csv file was … poorly formatted. 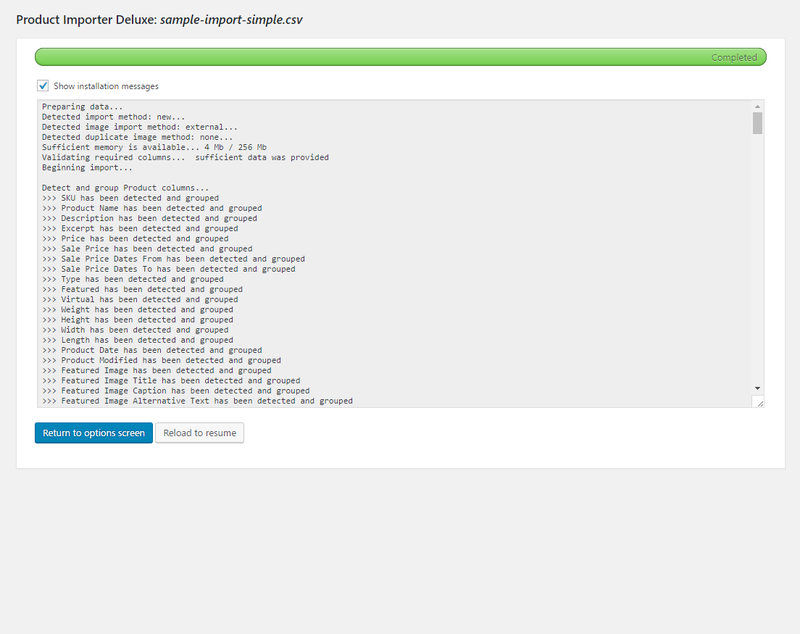 At great effort I combined all 4,500 items into one single csv and split that csv into nine, 500 item, csv’s. More manageable that way. 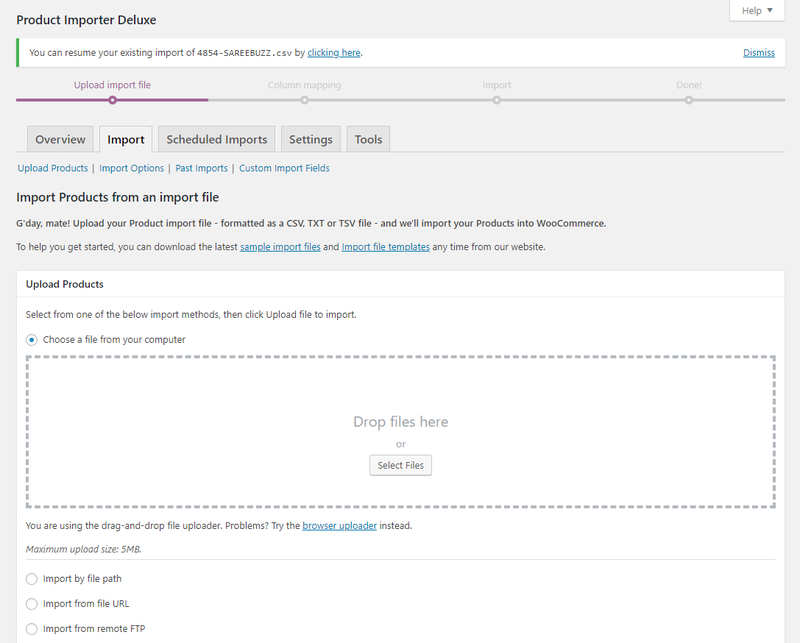 So, I went into the Jigoshop product list and deleted all of the products I had imported before redoing the csv file. Deleted them to the trash, then removed them permanently from the trash. So my store was completely empty … in theory, anyway. 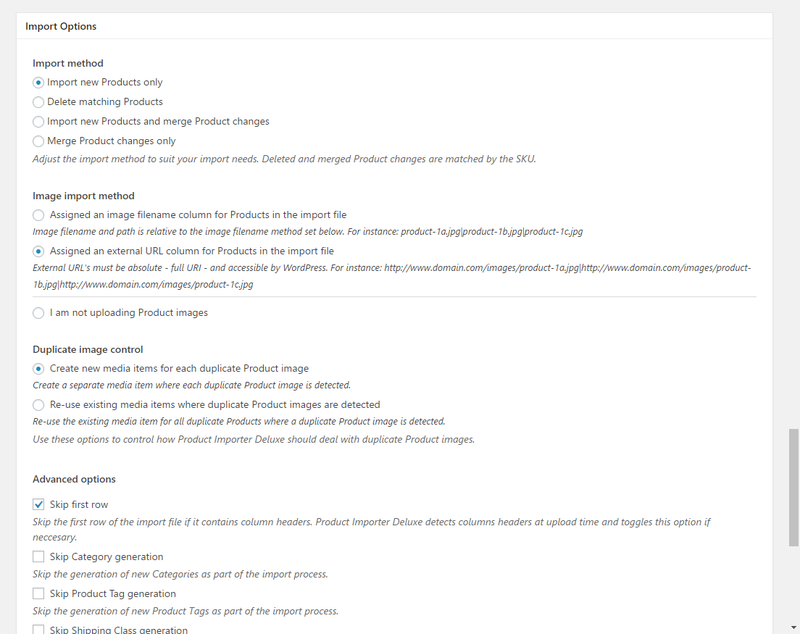 When I attempted to upload the first set of 500 items, I was only able to upload 48 and was greeted by the summary screen that said “48 items have been created, 452 items have been skipped” then it cited the duplicate SKUs. 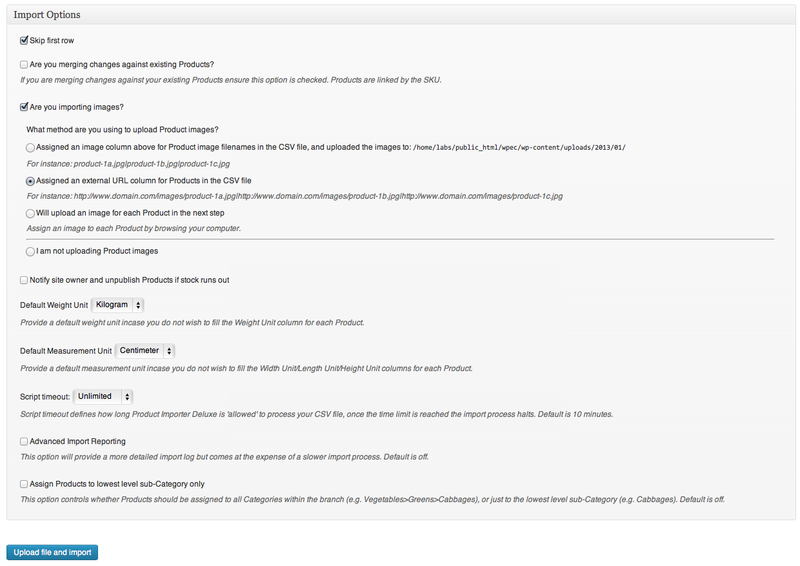 But those SKUs are no longer in the Jigoshop product list; so what’s going on? 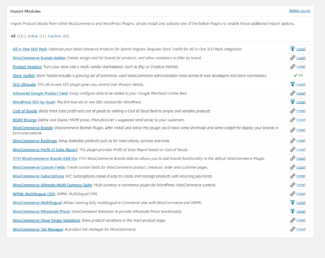 I’ve been through my PHP control panel, checking wp_posts and wp_postmeta (per a random posting I found in the forums) to no avail. 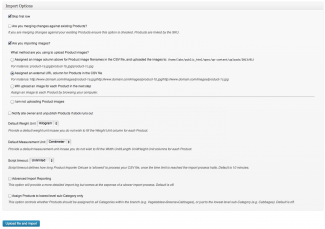 Where is Jigoshop caching my old products? If not in the database, then where? 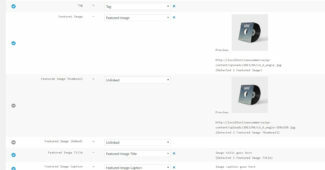 I can’t find anything in the bulk uploader plugin folders, nor in the Jigoshop folders. I need some support for this issue, I’m approaching deadline in 48hours and did not foresee this issue. Please help. Did you ever sort this out? I am having the same problem and I see no replies in this thread that describe a fix. 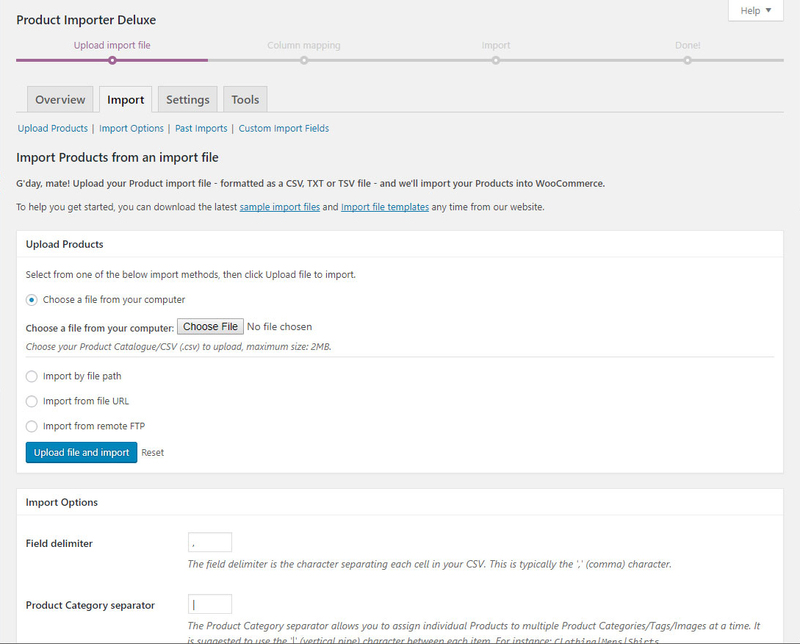 Hi Tanner, just updating your comment for others to read, you need to permanently delete Products via the Trash view under Products within the WordPress Administration. 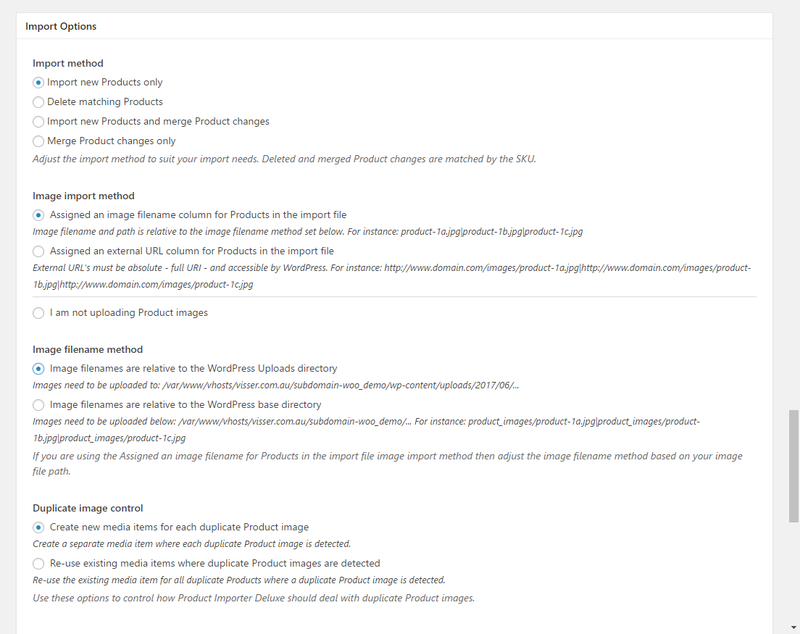 If you use my Store Toolkit Plugin it will permanently delete your Products in one hit. Hi – just downloaded the extension an are playing around with it – excellent results in first 20 mins – congrats! Bump! 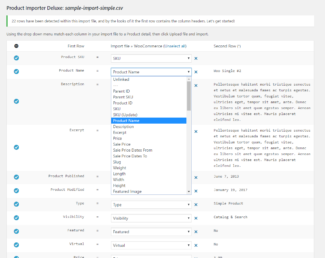 – Any way to import custom fields ? Hey guys we just purchased this plugin and am having major issues with importing. Insuffient data was provided. 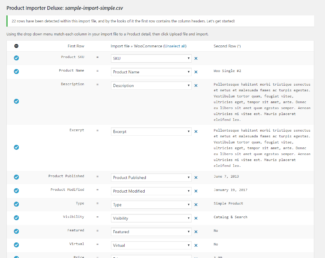 Please ensure the required product import fields are available and have been matched. You’re probably mistaking product name with product description. At a minimum you must have a PRICE, a PRODUCT NAME, and a SKU. Just updating this, since zero price support has been introduced I’ve made Price an optional field. 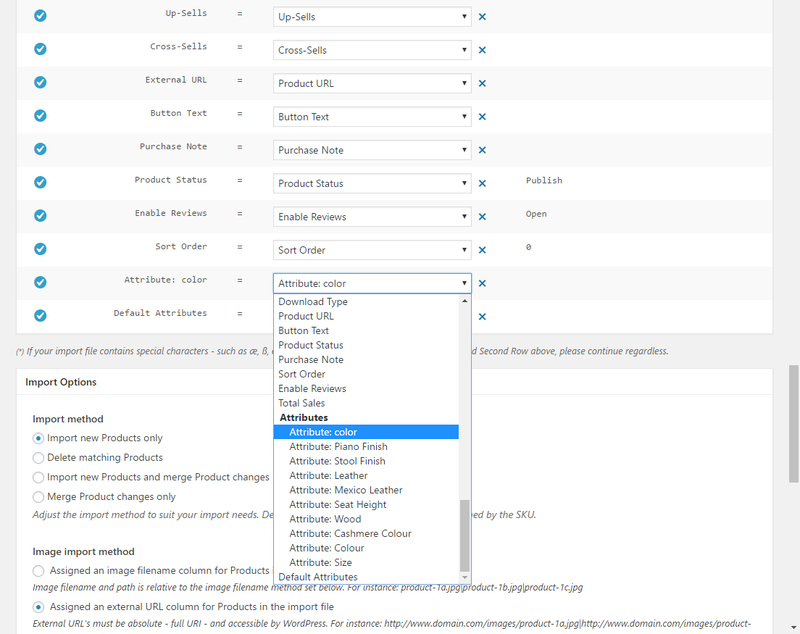 The minimum required fields are SKU, Name, Category and for merging Product changes you only need SKU. Hi itmanager223, as Tanner has mentioned. 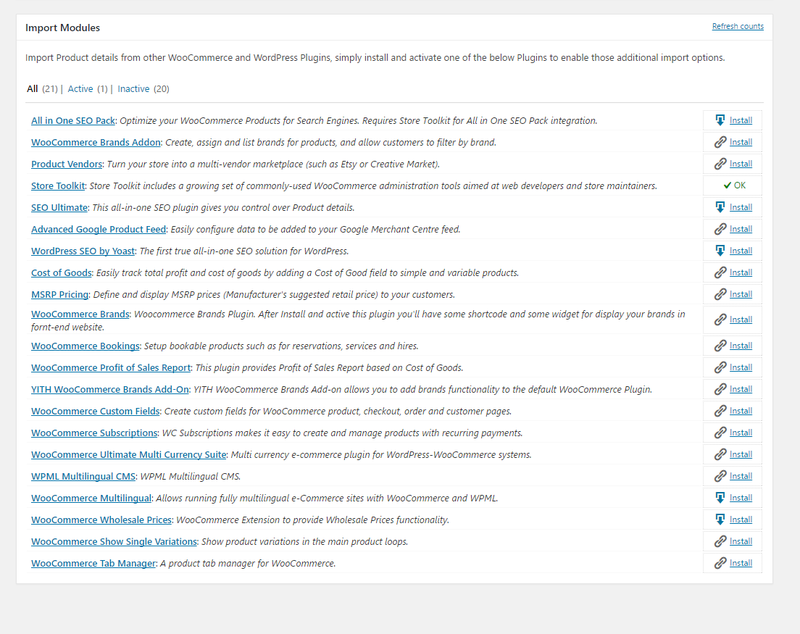 I’m packing a Plugin update with smarter validation prompts to assist store owners. 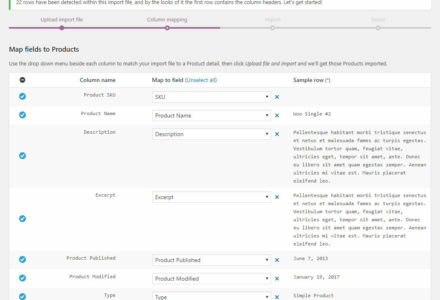 I’m got a csv that has has over 64,000 products in it. 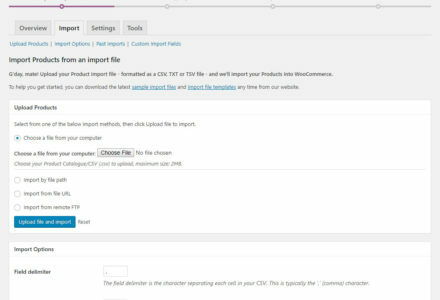 Can this plugin handle that sized import? Also, I need to import images(via path, so an image might be located at: images/AF000464.jpg). Does this tool handle this as well? Hi Chad, large stores will require substantial memory allocations. 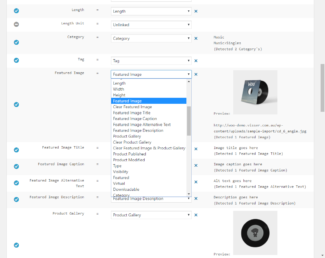 I have worked with some clients to success while others have been unable to import their catalogues due to timeouts and memory-relatad corrupted imports. 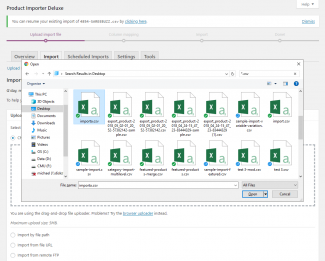 You can use the external URL import method to bring in images in different folders within your store but relative filepaths as they are are not supported. 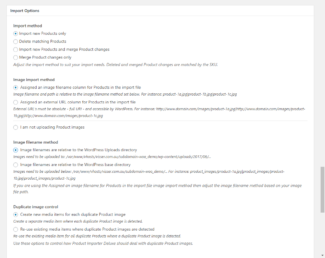 Simply make the directory visible to the WordPress installation and use absolute links to the Product images (e.g. http://www.domain.com/images/…). 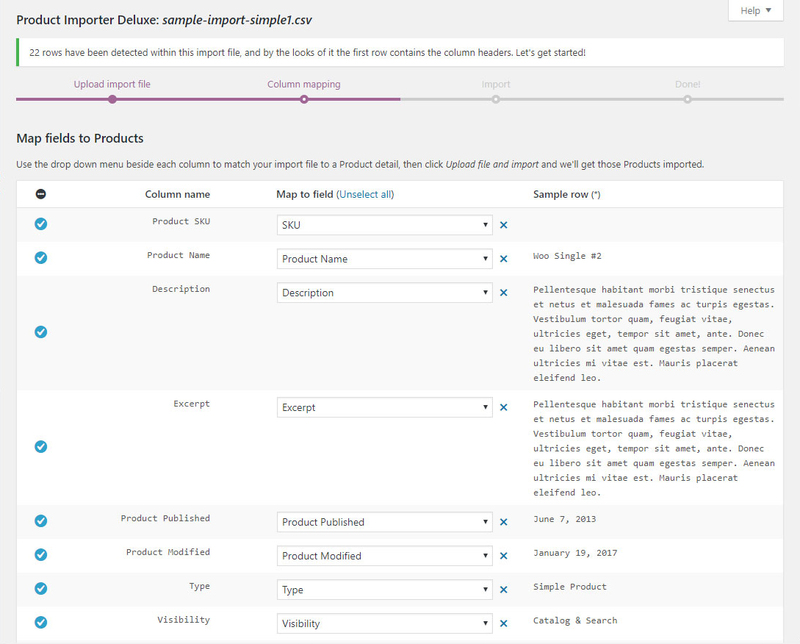 I have an issue I’ve had before where the import file results in a server error (HTTP Error 500 – Internal Server Error), & also trying to view the Products list in the dashboard does exactly the same. Last time I updated the site I had to break the file up into quite small chunks and then I could get it to import okay, although it was very laborious. 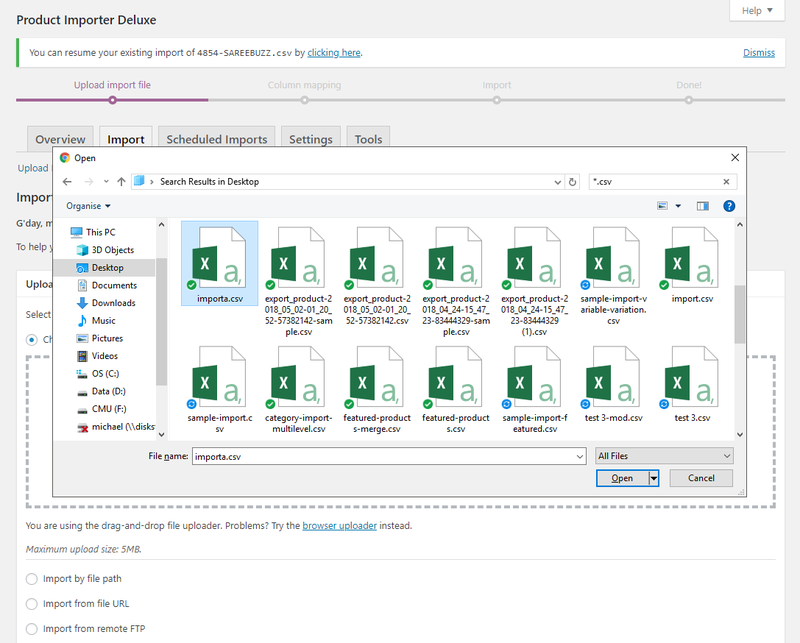 Would you like a sample of the import file so you can give it a try at your end? As before, I’m using the external URL option for images with an absolute URL, although the URL is actually part of the same site. But if you import the file, your server should still find all the images so it should still work. 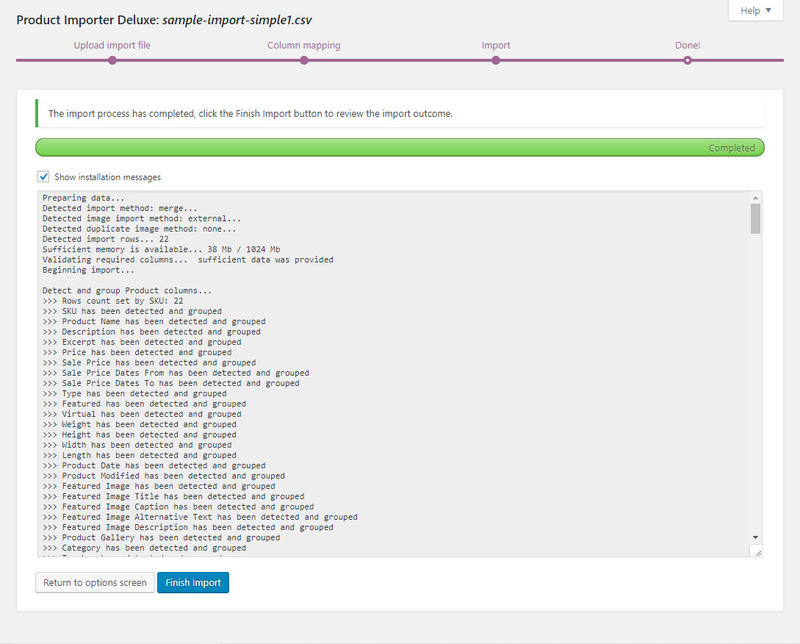 Do you, or anyone else, know a good way I can delete all the products wtihout accessing Products in the dashboard? 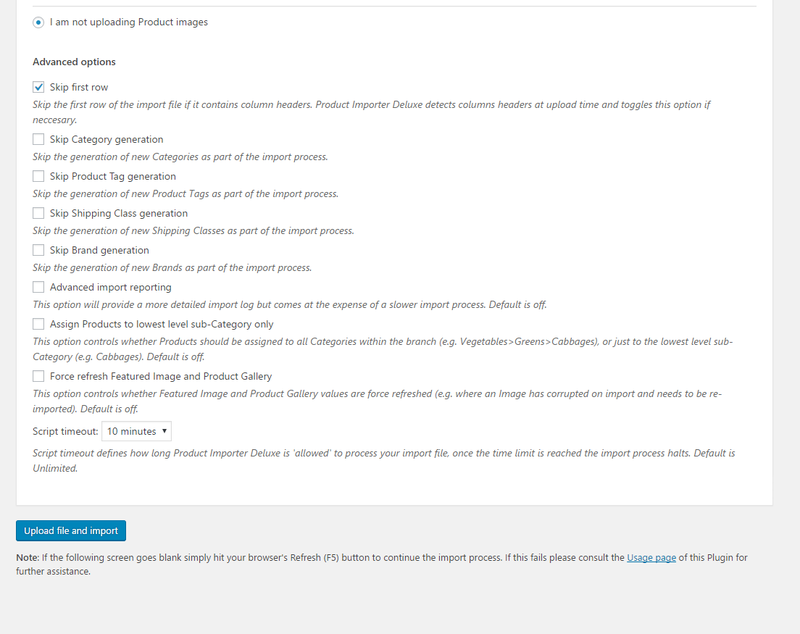 This would no doubt resolve the issue with viewing the products, and I may have some old products to remove, so it’s easier to delete them all & reimport them, or at least it would be if I could! 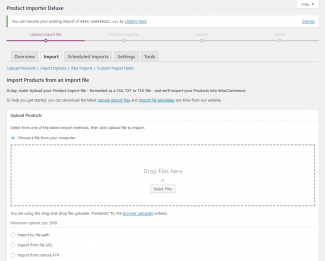 Finally I know you develop the same plugin for Woocommerce – is that a better option in your opinion? Thanks in advance for your continued support Michael. 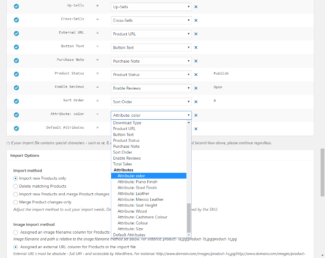 i have all the products installed etc via CSV but when i try to turn some products off after they have already been published using the Visibility and Product Status options nothing works? is there a way to turn items on and off at all? or once the product is published there is no way of taking some down on a mass scale? we are doing this becuase one vendor we have is not being very nice so we are taking down all there products until they play nice and then bring them back online. 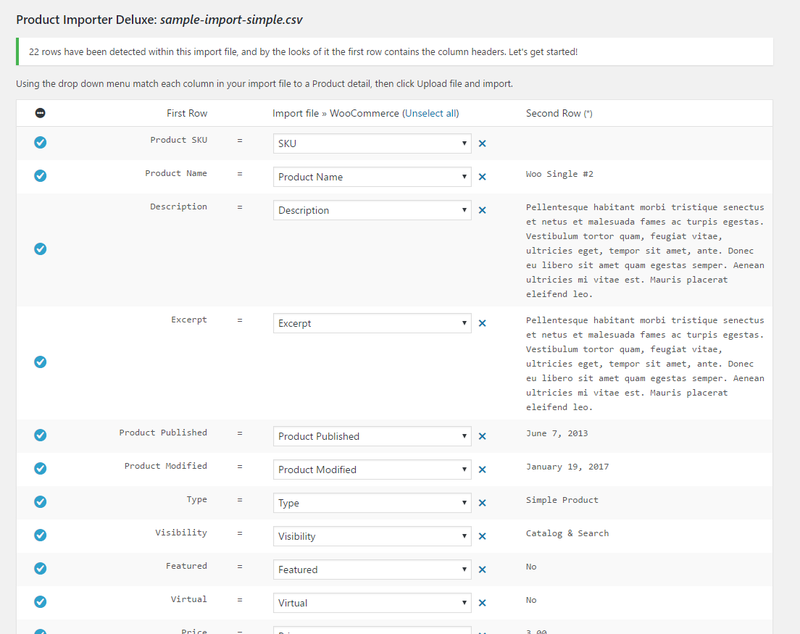 I need to export all of my products out of WP e-Commerce into a csv file. 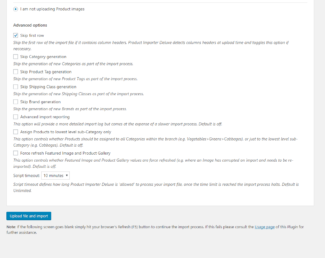 Will this product allow me to do that and will it include images? Thank you. In the plugin I saw that you added the prefix ‘pa_’ for product attributes, but quen I load single product template are shown only attribute names but not values??. I tried to solve the problem deleting all prefix ‘pa_’ present in functions.php, but this generates an error at line 1008 (Can not use object of type WP_Error as arrays) due to ‘Incorrect Taxonomy’. Only in this way everything works fine!!! Hi Davide, gone through each item and patched it for this release. Thank you for your contribution, if you have any feature suggestion going forward please let me know as I owe you one. Thanks Davide. hey Micheal, Am I going to get an answer? Can you help me? 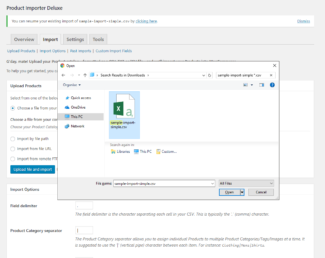 Is integration with Google Product Feed plugin supported? 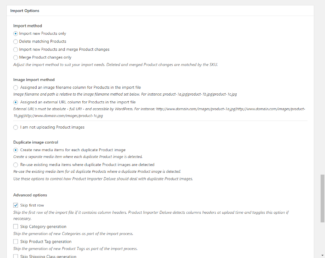 Hi Maya, Google Product Feed integration has been added in the upcoming Plugin update. great plugin have used it twice now and really like it. 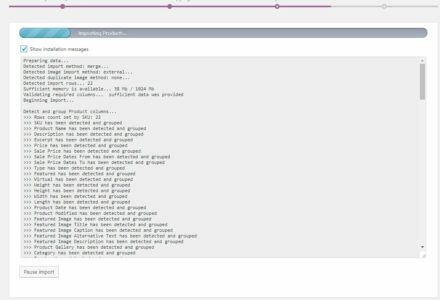 I hit upon an issue though with my second client and basically it imported the data and some images but because some images were at a CDN with funny urls they didnt import correctly. I am wondering if I can turn off the requirement for various bits leaving the product title as the only requirement and upload again with local files – if so how would this be done? Hi Andy, ‘funny URLs’/CDN links are hell for the importer to deal with. 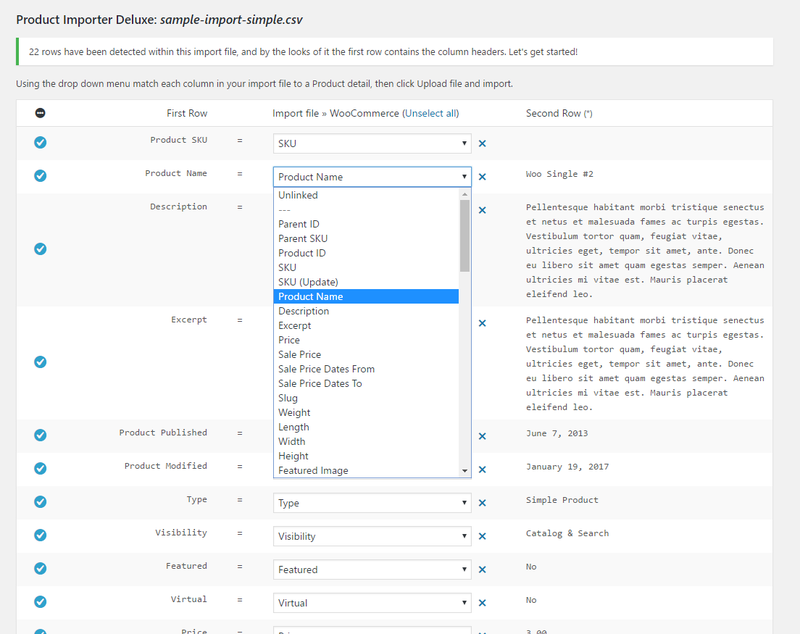 I will add an import option to ignore dynamic URL’s that the importer cannot detect the filename from. Expect this in the next Plugin update that I’m preparing.